With wildlife orphanages and reserves just around the corner, Harare is a city in the middle of natural beauty. The capital of Zimbabwe is lively, colorful and inviting with its typical African flair and many green parks. Since the country introduced the US dollar to counter hyperinflation, the situation has become more stable, and tourists are flocking back into the country. Although there are no direct flights to Harare there are still plenty of cheap flights to Harare via Africa or the Middle East. 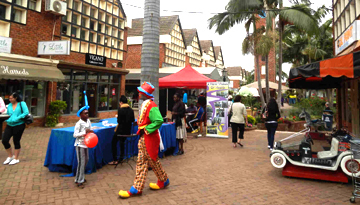 Harare was founded on 12 September 1890 by the Pioneer Column, a volunteer force of settlers. The city, then called Salisbury, was the capital of the British colony of Southern Rhodesia and later of the independent Republic of Rhodesia. However, its independence as the later Republic of Zimbabwe was only internationally recognized from 18 April 1980. 1982, the name of the capital city was changed to Harare. After the 2002 presidential elections and the 2005 parliamentary elections, the country went into a heavy economic decline, from which Zimbabwe is currently recovering thanks to the US dollar. And so, thanks to its amazing wildlife and natural beauty, Zimbabwe is once more on the radar of the tourist industry. With its lush parks and African city life, Harare is an interesting starting point for any excursion into the surrounding area. Its National Gallery has many interesting exhibits of both, African and international art. Also, the Queen Victoria Museum and the cathedral are well worth a visit. Another highlight is the Chapungu Sculpture Park with its amazing stone carvings by local artists. For a somewhat unusual experience, pay a visit to the Wild is Life wildlife orphanage and rehabilitation rescue center. Located on a farm near Harare airport, this place offers afternoon teas while non-dangerous animals wander between the guests. Besides giraffes, little elephants and zebras, you can see the lions from afar. Other highlights of the area are the Kuimba Shiri Bird Sanctuary and the Thetford Game Reserve just outside of the city. In both of them, you can observe wildlife and learn more about their life and habitat. 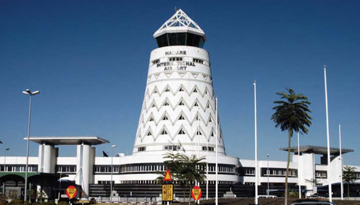 There are many cheap flight tickets to Harare which are available at best price. You just have to compare flight tickets to Harare and book your cheapest flight tickets to Harare which fits well within your budget. Due to being located on a plateau, at an altitude of 1483 metres, the average annual temperature in Harare is a comfortable 17.95°C. The best time to travel there is during the dry season between April and September. The temperature highs around this time are around 33°C. Best Emirates flights to Harare from Heathrow with return economy class fares at £629*. 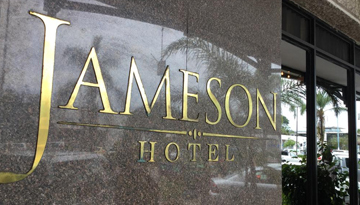 Welcome to Cresta Jameson Hotel, and enjoy the exciting discounts and offers available. Fly from London - Harare & Stay for 7 nights with 3 star accommodation. Room Only.